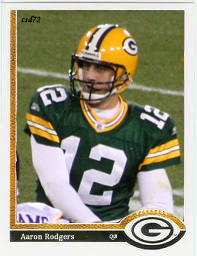 With the Packers opening up the playoffs tonight I thought that I would post a few of the Packer cards that have sitting in a folder since that Pack won the Super Bowl in 2011. 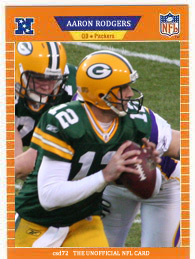 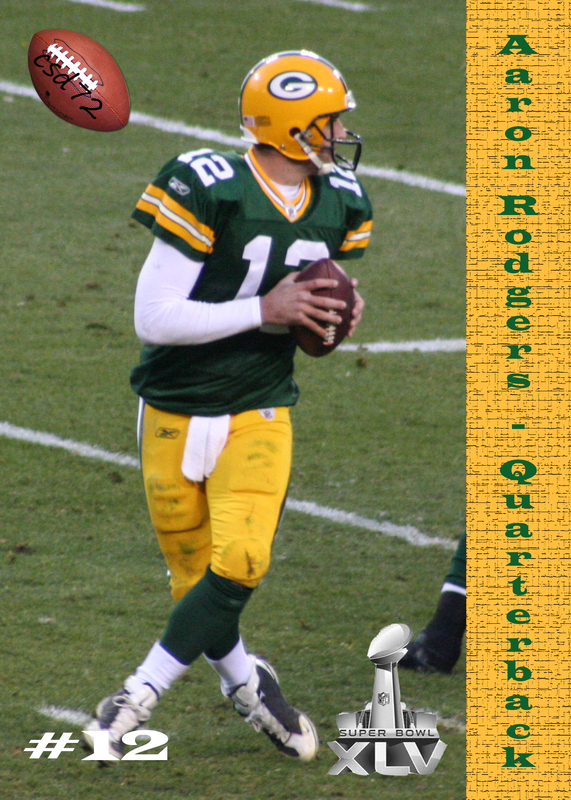 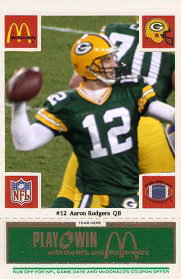 Aaron Rodgers was really the focus of the cards that I made at that time. 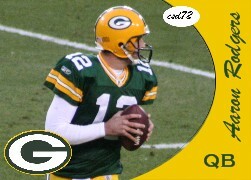 Being the quarterback and having the ball as much as he does of course I had the images to make cards with. 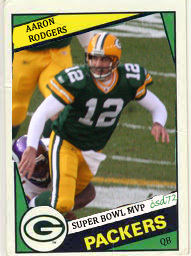 Add to that the fact that he is the star of the team, and you have a bunch of cards for the All Pro.